In 2014, Carcosa unleashed an exquisite macaroon collection. 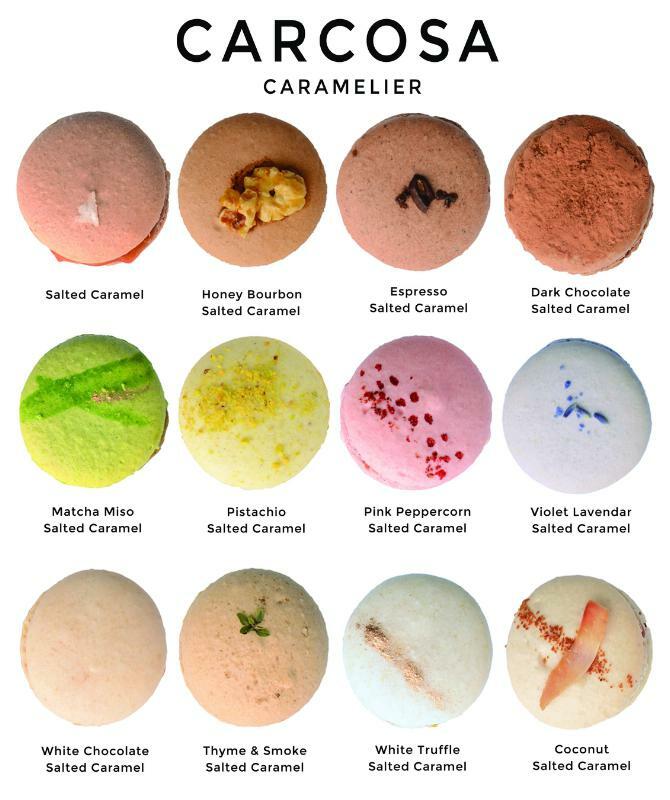 Carcosa macaroons come in 12 amazing varieties of salted caramel, only one of which can be found anywhere else. The original Carcosa salted caramel macaron has beaten peers’ salted caramel macarons in every blind tasting so far conducted, while the divine white truffle salted caramel macaron is now Carcosa’s best seller. Each Carcosa macaroon is handmade in small batches in Brooklyn, New York. Every macaroon is made using the finest fair-trade ingredients. This attention to quality means the macaroons are organic, gluten free, and non-GMO. The Carcosa Collection comprises all twelve macaroons and costs just $30. Since launching in late 2014, Carcosa has featured in exclusive pop-up events in New York, and will continue a busy events schedule across the USA in 2015, check out Carcosa’s Facebook page for details. A free shipping code for Valentine’s Day will be published on Carcosa’s Instagram account so make sure to follow!